In reality, Hasbro's case is not likely to succeed. MocoNews rightly points out that trademarks generally only cover limited categories of goods, and that it is not realistic to think that consumers might confuse ASUS' latest tablet with a popular children's toy line. 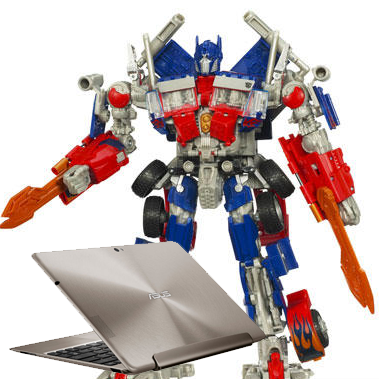 Still, the connection between Transformers and ASUS' quad-core device have been drawn by various individuals leading up to its release, for completely obvious reasons. It's not clear what (if anything) will come out of this suit, but we'll be here to cover any new details that emerge.